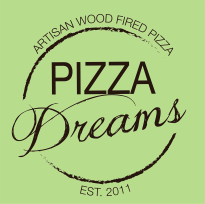 At Pizza of Dreams, we pride ourselves on providing our clients with the highest quality and most unique experience on their special day. As a company we have worked with numerous venues across the midlands and have decided to work closely with trusted venues local to us that we believe offer the perfect wedding experiences. Grendon Lakes is a beautiful scenic environment to have a wonderful out door wedding. They offer a wide variety of fairly priced options, providing you with the ability to create your perfect wedding day. Elms meadow is a family run business that offers an exceptionally unique experience providing clients with a rustic bohemian style wedding in a beautiful tipi. Elms Meadow is situated on an arable farm that has been owned by the same family for 250 years. Situated in the heart of the Northamptonshire countryside, the venue is surrounded by beautiful scenery and is the perfect place to enjoy your special day.